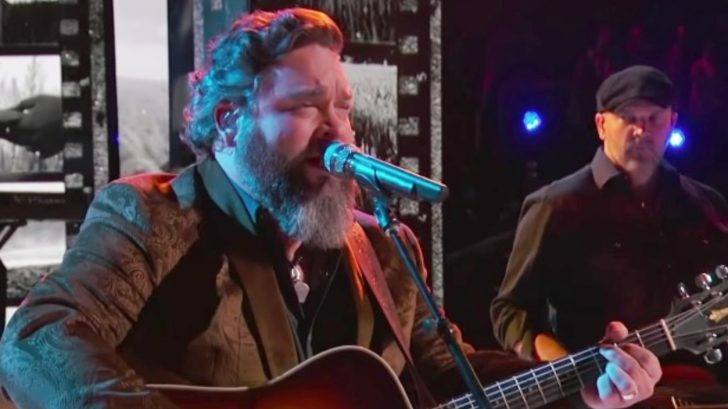 It was clear from the start of Dave Fenley’s time on The Voice that the man has the voice to sing traditional country music and sing it good. Written by Paul Overstreet and Don Schlitz, Whitley released his recording of “When You Say Nothing At All” in 1988. The song won its way into country fans’ hearts, and topped the country charts in both the U.S. and Canada. Years later, “When You Say Nothing At All” took on new life when it was recorded by Alison Krauss and her band Union Station. While her rendition of the song was not a chart-topper, it was still a huge commercial success, reaching the third spot on the Hot Country Songs chart in the U.S. Since then, many artists have honored Whitley by performing and recording the song. Few ever dare to change up the style, since it’s so treasured in the country music world. Fenley kept in line with that practice, choosing to take the same delicate approach to the song as Whitley and Krauss. But he did give his own style a few chances to peek through, as he occasionally let his voice rise and break while he hit a series of powerful notes. His choice to make those minor stylistic changes showcased the extent of his talent far more than if he would have just performed the song straight. On top of all of that, those bursts of power created a great sense of passion that carried throughout Fenley’s entire performance. The result was something quite swoon-worthy, and we wouldn’t be surprised if it left a few audience members weak in the knees. Now it’s time for you to be enchanted by Fenley’s performance yourself. Tune in to the video below to hear exactly what he did with this treasured country track.